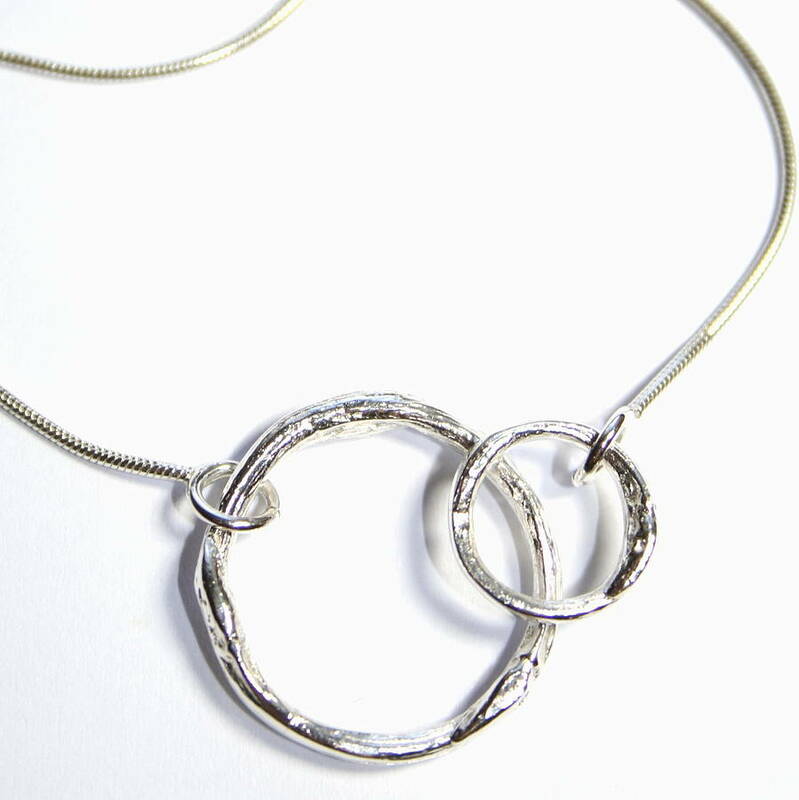 Simple and unusual handmade silver cast willow circles necklace with silver snake chain. 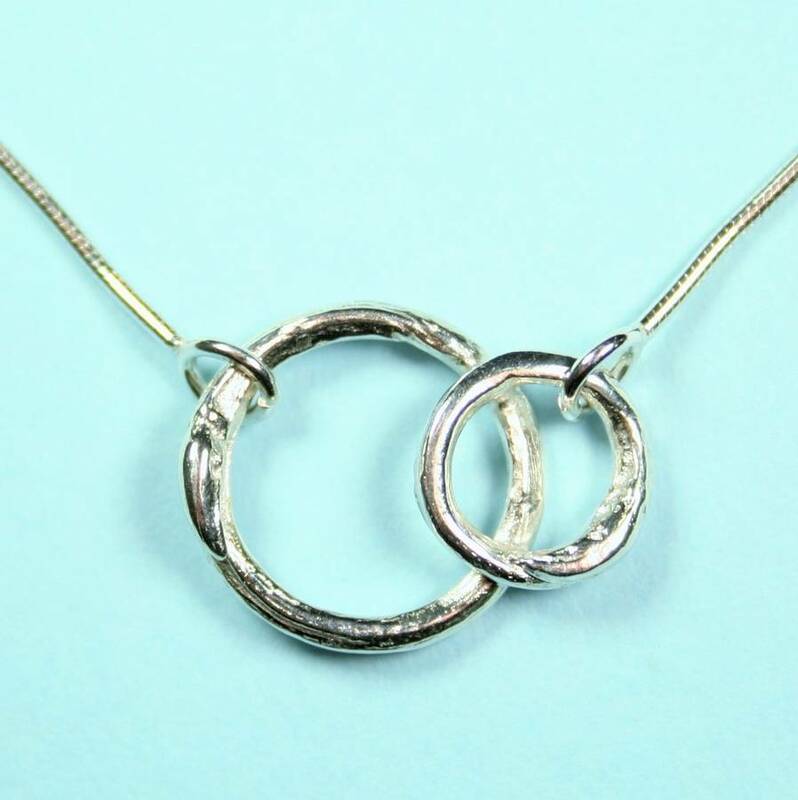 Handmade in my workshop in Scotland, this unusual silver cast willow circles pendant is lovely on. Each one is unique. 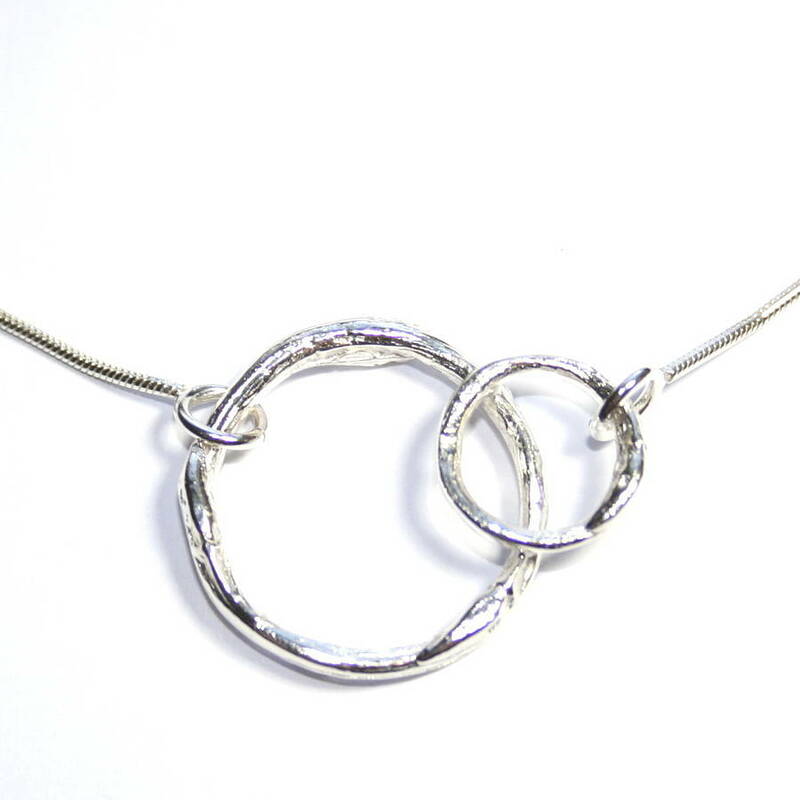 A casting of a piece of Scottish willow has been cut into sections with the willow buds on and soldered into circles to create each pendant. It is perfect for everyday wear. This pendant would make a great present for a teenager or woman of any age and is also popular as a bridesmaid gift. 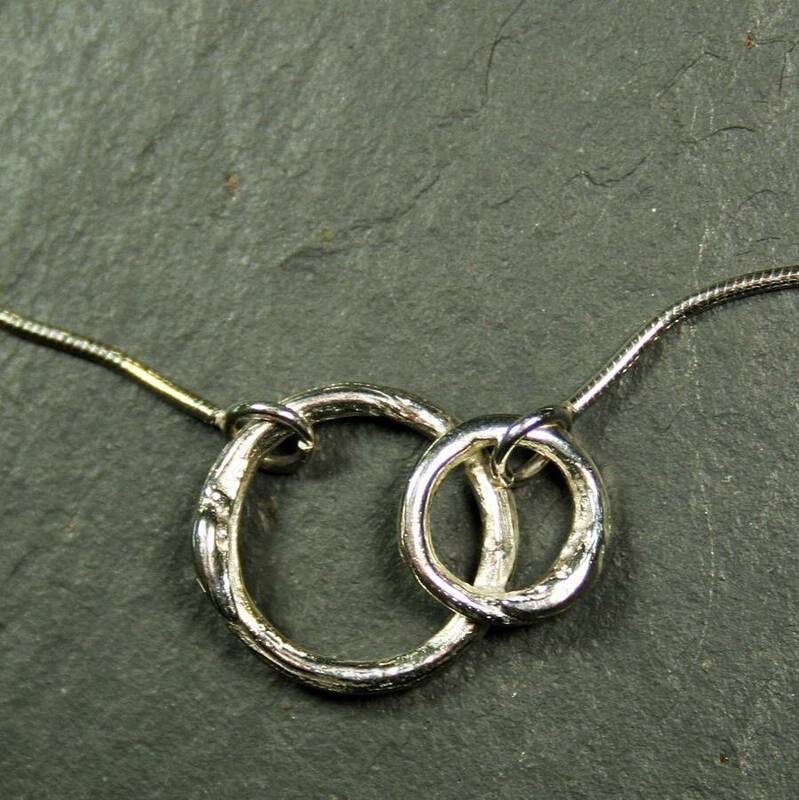 925 sterling silver on sterling silver snake chain. 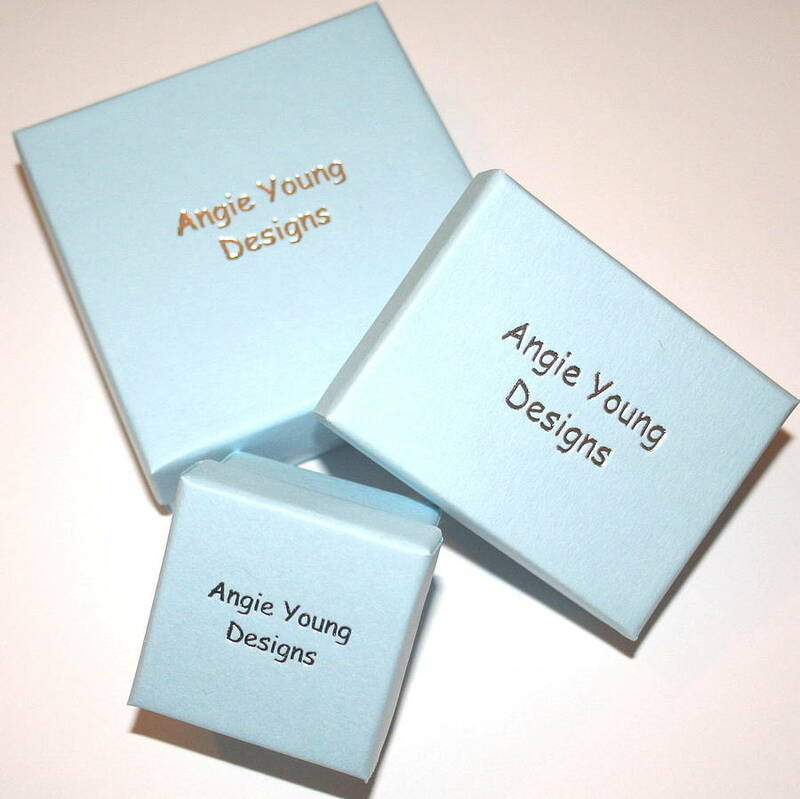 This product is dispatched to you by Angie Young Designs.